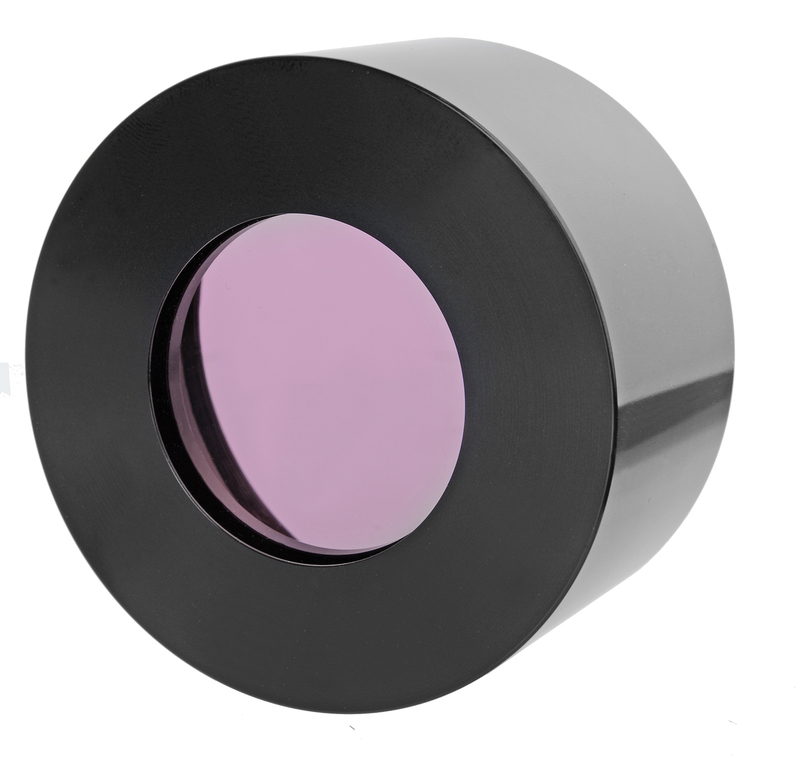 HRG100DS anti-reflection filter for LS100THa/DSII system, will effectively reduce reflections. The LS100THa H-alpha solar telescopes can be double-stacked by using the internal DSII double-stack modules. The DSII modules will reduce the bandwidth to <0.5 Angstroms. 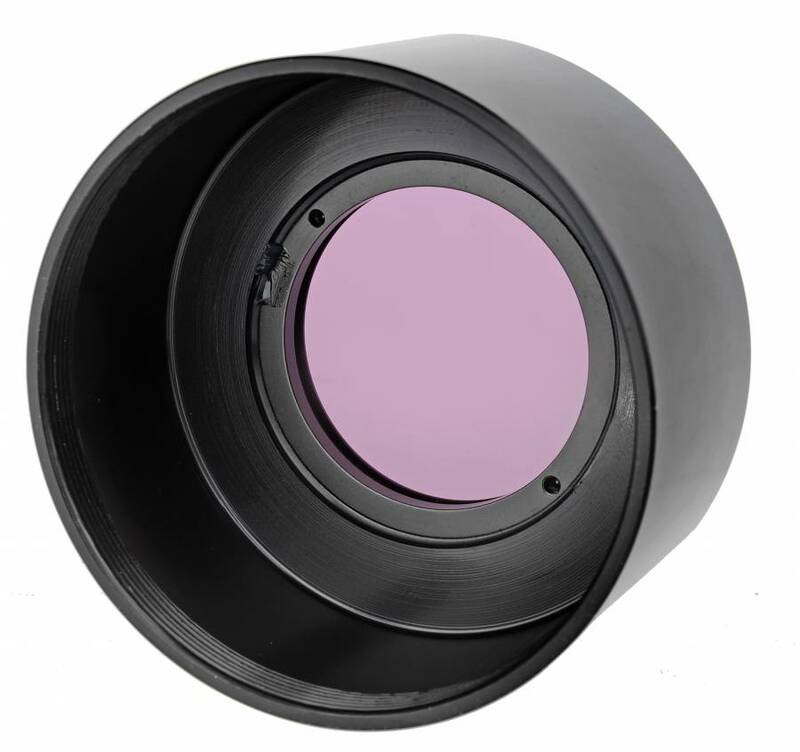 The DSII module is designed to provide enhanced surface detail, allowing for higher contrast views of the filaments and active regions. But the DSII modules will also produce reflections that will be visible as strong glow around the sun. This glow is no problem by observing the solar surface. But it could be a problem by observing prominences, and some observers find this glow distracting. The anti-reflection filter HRG100DS for LS100THa is designed to solve this problem. The filters will effectively reduce the reflections. The HRG100DS is easy to install. It is not needed to send the telescope back to factory, installing can be done by user. This is not a stand-alone filter! It can only be used at Lunt Solar Systems LS100THa solar telescopes with DSII double-stack module.